As the PP Blog reported on May 15, Massachusetts Commonwealth Secretary William Galvin sued the Wings Network MLM “program” and some of its promoters, alleging securities violations and a “thinly veiled pyramid scheme” targeting minority communities. Now, Nevada Secretary of State Ross Miller has published a warning on Wings Network, saying the online “program” even is being sold “door-to-door” and is targeting Spanish and Portuguese prospects. Miller is encouraging residents of Nevada who have information on Wings Network to contact his Securities Division here or by calling 702-486-2440. Secretary of State Ross Miller warns Nevadans to beware of a possibly fraudulent investment scheme targeting minority communities, specifically Spanish and Portuguese. Wings Network is a multi-level marketing program that is advertising online, and being sold door-to-door or through friends and relatives. Investors may be told that Wings Network is associated with smartphone applications compatible with Google Play and Apple. Individuals who purchase the “Elite” package gain access to the Wings Network website, which provides them with information related to their purchase. Wings Network is allegedly associated with Tropikgadget FZE located in the United Arab Emirates. The Secretary of State’s Securities Division believes Wings Network’s proposed business opportunity is an investment contract and a security that should be, but isn’t, registered with the State of Nevada. Some multi-level marketing programs may be structured in such a way that they constitute a security and should be registered as such. Miller cautions individuals not to buy or sell packages from Wings Network without conducting thorough research and seeking independent legal advice. 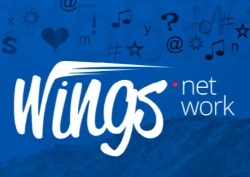 Although the dotcom landing page for WingsNetwork appears not to be loading properly at least in the United States, other pages on the site continue to be accessible from the United States. The PP Blog today observed the flags of the United States, Spain, Portugal, Italy, France, Germany and Russia on the site. WingsNetwork subdomains with Wings Network affiliate pitches that point prospects to YouTube promos and lead-capture pages also were observed. Opportunity-hopping is a frequent occurrence in MLM or direct-sales programs. Some affiliates of such programs proceed from fraud scheme to fraud scheme to fraud scheme. Research suggests that the WingsNetworkGlobal domain previously was used to promote alleged scams such as TelexFree and WCM777, both of which were sued by the SEC and became the subjects of regulatory actions by the Massachusetts Securities Division.